← Trip Report – Pure Michigan Golf in Gaylord – WoW – What a treasure! Just introduce one-way awards! The value of Skymiles will increase. For what it’s worth, this could merely be a job to help enhance what’s existing vs. gutting the program or remaking it entirely. I think it’s easy to be jumpy when a lot of us are sitting on large amounts of points and/or fly Delta regularly for business and pleasure. Even more so if you are at a Delta Hub. For now, it’s all speculation and we wait to hear or not hear. 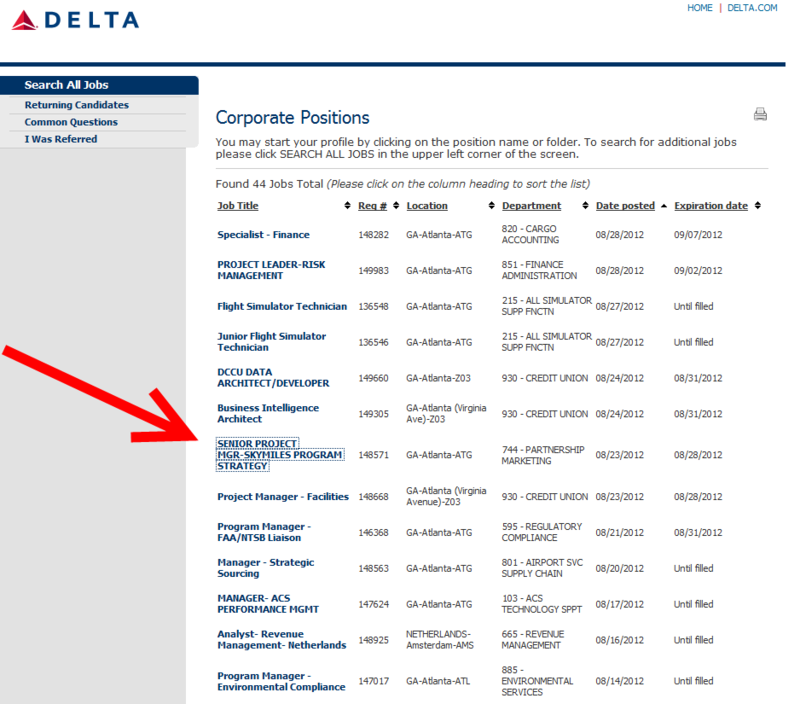 Hopefully the person hired for this position has knowledge of mileage programs from a consumer point of view and not just from working at another airline. I saw this on Flyertalk too. New strategies does not equate to new policies. It’s a step in that direction but it has to go through focus groups and marketing, then up the chain. Also, I find it hard to believe the “big shot caller” responsible for changing Skymiles, if it indeed changes soon, would be a new hire. So either that person has made the proposal already, or that person has been shown the door and we are looking at their replacement. Someone qualified needs to take one for the team and go sabotage by suggesting no possible improvements (in DL’s favour) exist — for our benefit!!! I wouldn’t read too much into that. 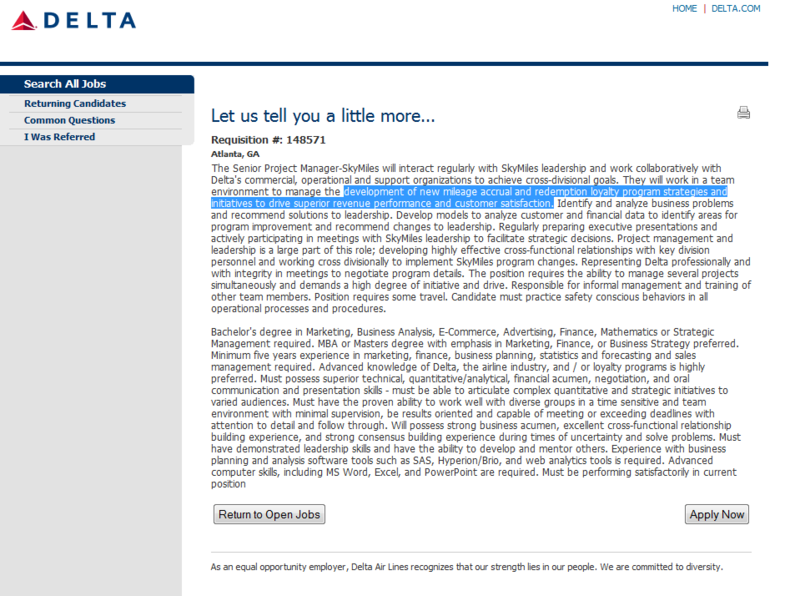 Every company Delta’s size has a strategy group and a boatload of project managers. The job search was launched and posted 5 days ago but is no longer available. What would that mean? @Neet – it showed only to be up until the 28th. No idea what it means. At least the longer they wait, it can not get any worse than it is now right?